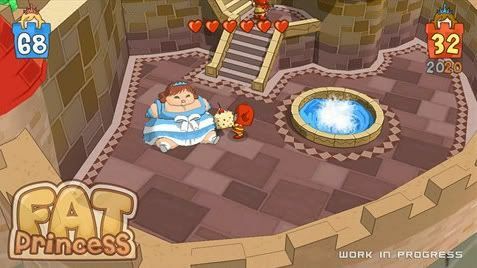 Frantic and fun, Fat Princess pits two hordes of players against each other in comic medieval battle royale. Your goal is to rescue your beloved princess from the enemy dungeon. There's a catch though: your adversary has been stuffing her with food to fatten her up and it's going to take most of your army working together to carry her back across the battlefield. —but the only thing I can't figure out is why anyone would want to rescue a fat princess in the first place, since everyone knows that fat girls are unlovable human garbage at whom any sensible bloke would sooner hurl invective than cast a longing glance. I sure hope there's a clever dénouement like the Fat Princess magically becoming thin once she's rescued! 'Cuz that would rock, yo! Anyway, congrats on your awesome new game, Sony. I'm positively thrilled to see such unyielding dedication to creating a new generation of fat-hating, heteronormative assholes. It's not often I have the opportunity to congratulate a cutting-edge tech company on such splendiferous retrofuck jackholery. Way to go! 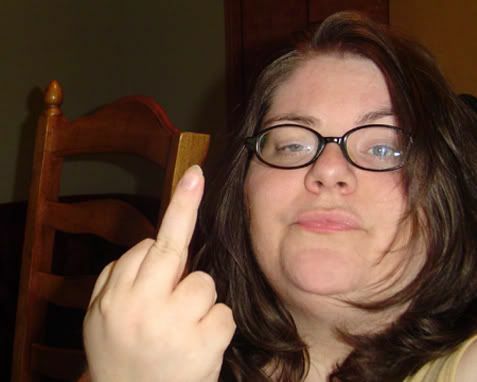 The Fat Princess of Shakes Manor salutes you. P.P.S. There's an update here.